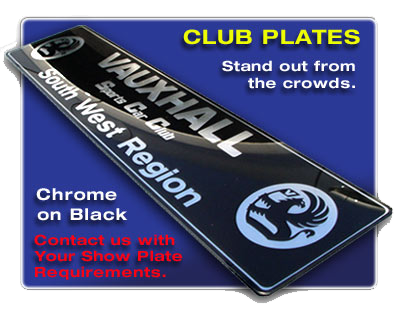 It's easy to forget about forum and club plates with all the personal show plate designs floating around. We appreciate the importance of forum & owners club membership, as these groups offer all manner of tips and tricks regarding your particular ride. In light of this, we moved into the original show plate market...we now create your club plates, so that you can show your club affiliation at club meets and cruises. 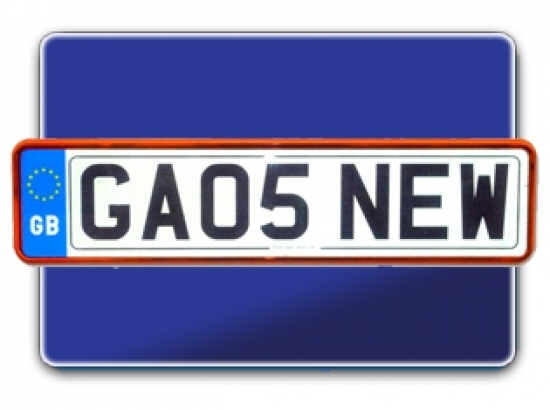 If your club or forum requires club show plates, make pimp my plate your first port of call. Simply call us, or email us with your requirements and we'll be happy to assist. 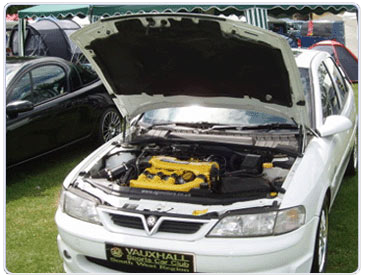 We will require your artwork in a .plt, .eps or .ai format, brief description on your design layout and any other details you feel relevant, such as number plate size. Once we have this information, our design team will submit proofs to you via email. Our costs are competitive, and we are happy to provide discounts for bulk orders and we will issue an exclusive club/forum discount code to be used on our website. We will be happy to display links to your club/forum, just send us an email or call with your details. Scarborough Cruise. A great club from, as you would expect, Scarborough. Our ability to reproduce high quality graphics and colours, including chrome, shimmer gold, regular gold and silver set us apart from most of the other show plate manufacturers. You won't find us at markets and fairs trading out of the back of a van. This is because we simply cannot produce our plates within an hour. Many of the bedroom boys and white van chaps use low cost laser printers, printing onto acetate, none of which is designed for outdoor use. You will have seen show plates where blues appear to be green..not good! We make use of our print background by employing fit for purpose thermal printers, combined with outdoor use guaranteed vinyls and inks. Our products are designed to stand the test of time, and that not only includes leeching but sun damage too. We pride ourselves on quality, and everything we do is quailty orientated, from our unique designs through to our packaging. You may even have seen our unique Gel Edge design copied on a couple of sites. Our competitors may be able to copy our designs, but they certainly don't copy our quality. We know, we bought one for a laugh!